on the border with Virginia and connected to the world. Potential Mega-Sites in Hampton Roads: Where and Why? 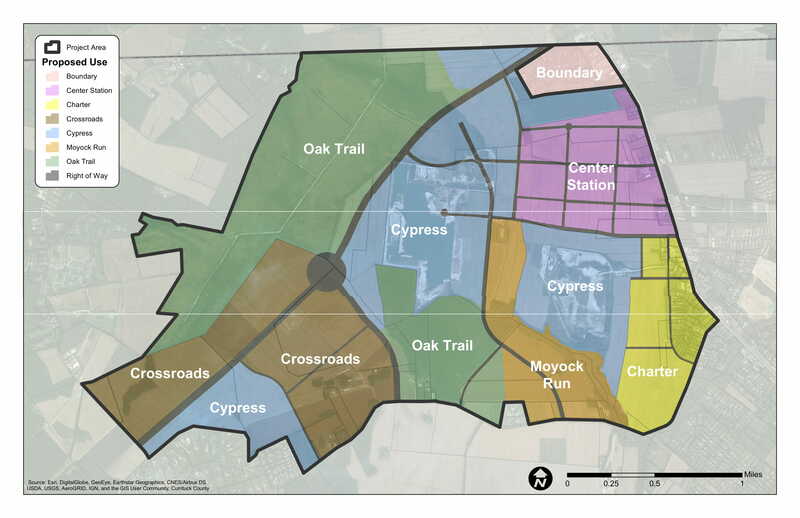 Currituck Station is a long-term economic development mixed-use plan developed for Currituck County, which blends residential, commercial, cultural, institutional and entertainment uses. Currituck Station consists of over 3,000 acres adjacent to the border with Virginia and located on the western side of North Carolina 168/Caratoke Highway in Moyock, North Carolina. • In March of 2016, consultants presented a feasibility study for the 3,000-acre site. The initial report identified a strong potential market for a true mixed-use project featuring various housing, commercial, retail, office and industrial uses. • A Master Plan for Currituck Station was presented in April 2017 by Kimley Horn and Associates. 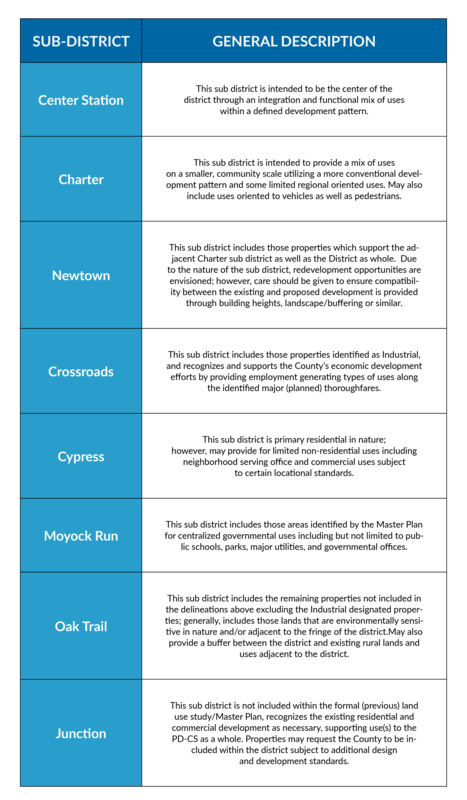 • The Currituck County Board of Commissioners adopted the plan in June 2017. The Currituck Station plan balances commercial uses such as retail stores, medical offices, and balances institutional, and/or industrial uses, development with commercial and manufacturing spaces, creative office space, and live-work housing. Currituck Station will create a walkable community with uninterrupted pedestrian connections with a variety of residential areas. By planning for and investing in this site, the county looks to attract quality businesses, employers and developers which can only help to create an area where Currituck citizens can form deeper connections between the people of Currituck Station and their local community and help continue to foster an environment of innovation and inspiration as our population continues to grow. Together we’re building on a shared vision of future growth and development. Every day, Currituck Station moves one step closer to becoming reality. Want more information on Currituck Station?